Have you left your Mother’s Day gift shopping till the last minute once again? Are you planning to spend the next twenty four hours rushing around in a mad panic? Trying to find the perfect gift for a lady who means the world to you. Do you want a repeat of last years fiasco? No? Then you better keep reading, as we spend some time sharing our favorite last minute ideas for Mother’s Day gifts. Even if you’ve still got plenty of time before the big day, stay with us because some of the ideas we’re planning to share don’t feel at all last minute. So can be useful ideas a few months ahead of the day. How long have you been thinking about your Mother’s Day gift? Only a couple of minutes, and the day is almost here. Even if you’ve been thinking about the various options for months now, Mother’s Day can still sneak up on you and catch you unprepared. That’s why we’ve compiled our list. It’s full of ideas that won’t let the cat out of the bag, and reveal you’ve only just remembered. 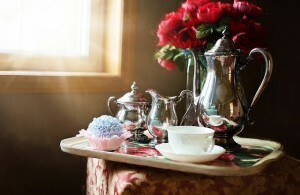 Start her day with breakfast in bed – There aren’t many better ways to start your mom’s day than with breakfast in bed. Unless of course, she’s sipping her morning coffee on the deck of an ocean liner, or gazing at the sea from a white sandy beach. But if a luxury vacation is out of your price range you can still get the day off to a relaxing start by bringing your mom her favorite cereal. If you want to make her feel really special then treat her to a indulgent breakfast of croissants, chocolate covered fruit, and a glass of champagne. Printable coupons – This is the kind of gift you can quickly rustle up the night before, especially if you’re a whizz at the keyboard. There are a number of sites that offer downloadable coupons. All you need to do is add the details, print them off and present them to your mom. What can you write on the coupons? Choose services, gestures, and things you can do to give your mom a bit of rest and relaxation. Cook dinner for a week, do the washing up for a month, wash her car, clean the house, do a weekend of home repairs, weed the garden, and other things she’d love to have a rest from doing herself. Something to read, and help keep her page – A quick trip to your local bookstore should help you if you’re looking for a last minute book for your mom. Add an extra special touch with a bookmark you made for her. All mom’s love gifts their kids have made. Whether they’re two, twelve, twenty or forty two. Same day delivery gifts – While we’ve made a bit of a thing about forgetting Mother’s Day, or leaving your gift choosing till the last minute, there really isn’t anything to worry about. Many of the online gift stores you’ll be looking at offer next or even same delivery, provided you place your order before a certain time of the day. Chocolate gifts, clothing, beauty products, food gifts, and much more are just a few clicks away. Before you know it the gift will be on your mom’s doorstep, and she’ll never realize how late you made the arrangements. Flowers – Say how much you love your mum, with a bouquet of stunning flowers. If you’ve left it until the last minute, your flowers aren’t going to be cheap. The price of flowers seems to rocket around Mother’s Day, much like it does for Valentine’s Day. But nevertheless we know your mum will really appreciate a bouquet or two, to brighten up her home. If you’d like your gift of flowers to last a little longer consider the unique option of a gold dipped rose. Magazine or newspaper subscription – Does your mum have a favorite magazine? Is there a newspaper she enjoys reading on a regular basis? Save her the clutter of out of date editions with an online subscription. All the most popular ones are available online, and some more unusual titles too. Personalized tableware – If you’ve got toddlers or young children, who want to make a gift for their mum, create a matching plate and mug for such a special occasion. Buy a plain colored item and let your kids go mad with the Sharpies. Oil-based pens are best for porcelain and ceramic, and remember to only hand wash the item. You can also personalize aprons, dish towels, t shirts, and much more. Homemade card – Mother’s Day cards are important. Ask any mom and she’ll regale you with stories of those handmade cards her kids brought home from school. A handwritten love note, a photo of the kids, or a few colorful scribbles on a piece of card. Pretty much anything will do. As long as it’s accompanied with love and affection, a handmade card will melt her heart. Jewelry – An item of jewelry will always be a welcome last minute Mother’s Day gift, and there are so many to choose from. 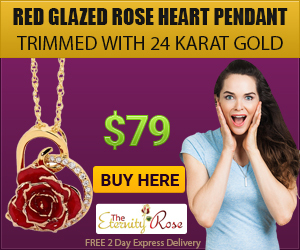 Delicate gold chains with a heart pendant, or a miniature rose petal pendant. There are also earrings, watches, rings, bracelets, pins and brooches. In a variety of styles, shapes, colors and materials. The gift of a Mother’s Day experience – Pottery or cooking classes, skydiving, race car drives, tickets to the theatre or ballet, or afternoon tea at a top hotel, are just a few examples of the interesting experiences on offer. If you’re searching for last minute gifts for Mother’s Day you don’t need to panic. Spend a couple of hours looking online at all the possibilities. You really will be amazed. And we know your mom will be too. While we’ve been able to provide a number of last minute Mother’s Day gift ideas, you must appreciate that being prepared will make the day more memorable. Both for you and your mom. This year may have been a bit of a mad panic, but now that you’ve found us here at uniquemothersdaygifts.org there is no excuse for leaving it till the last minute next year as well.